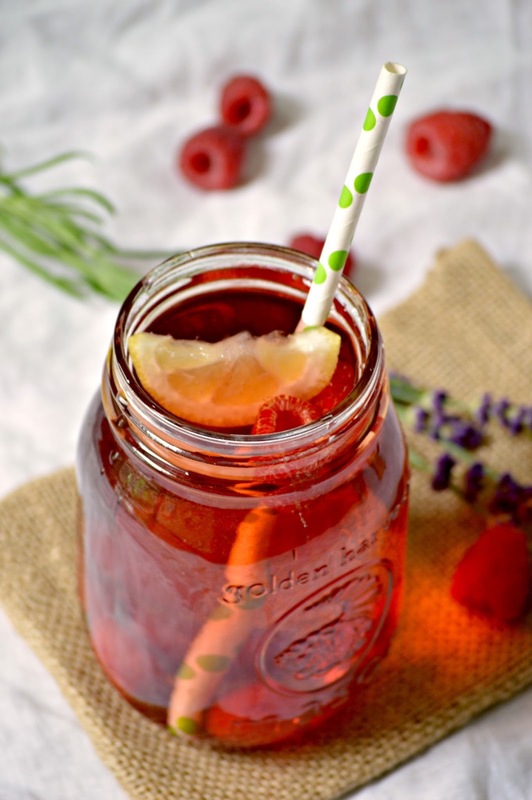 Serve up this recipe for raspberry aqua fresca this summer! A cool and refreshing drink that you can drink by yourself or with guests. This one is so easy to make and so good for you! This recipe makes 1 serving, which was a mason jar size glass. Also works with strawberries and blackberries (if desired). Allow this mixture to cook in medium heat until the raspberry has completely softened up. Pass this through a fine strainer to eliminate any of the seeds. Let it completely cool. Pour in a cup and fill the rest with 1 cup of cold water and ice. Sweeten a little more if you tend to prefer drinks a little sweeter. Squeeze a couple drops of lemon juice too!